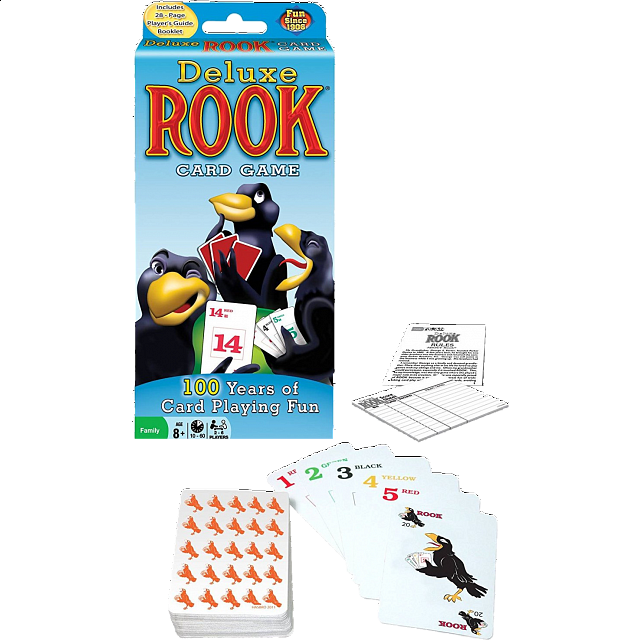 Since 1906 ROOK has entertained millions and millions of card game lovers. It's much easier and yet more exciting than Bridge, more fun than Pinochle, more varied than Hearts. Deluxe ROOK features a deck of 56 premium-quality, numerical ROOK cards (there are no face cards) and the unique ROOK Bird Card. Also includes a 28-page player's guide booklet, with rules for many popular ROOK variations, including "Kentucky Discard" / Tournament ROOK. Includes: Deck of premium-quality ROOK cards, 28-page Player's Guide, and pad of score sheets.